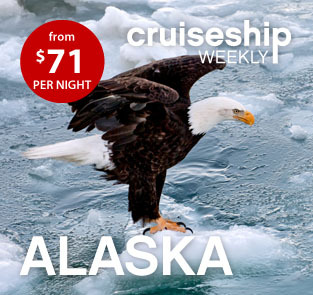 EXPEDIA CRUISESHIPCENTERS - 7 night Alaska from $499 !!! 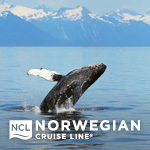 Alaska CruiseTours are on sale – take the ultimate adventure! 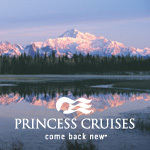 Alaska isn't just for nature lovers; it can entice your inner explorer and leave you with memories to last a lifetime. Home to rare species of wildlife, you could befriend black bears, whales, eagles, and more! Plus, Alaska CruiseTours are on sale now, so live in the moment and discover this land of great wonders and combine your cruise with a land tour! Renew your sense of adventure with this 7 night Alaska cruise for as little as $71/night, and up to $300 Onboard Cash Credit! See more of Alaska on the perfect tour. 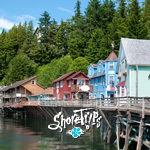 Choose from exciting combination tours in Juneau, Skagway, and Ketchikan.